This year, in our quest to step up and be our best selves, we wanted to learn from truly remarkable women, to see if they have a mantra they live their life by; and to find out what motivates them. We are absolutely thrilled to talk to Emma Heathcote-James for our series of talks with truly inspiring women. 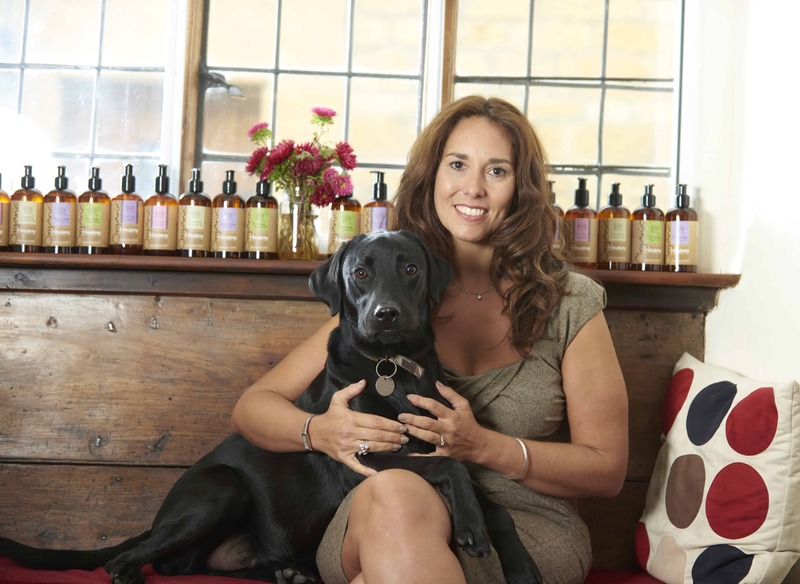 Emma is the Founder of Little Soap Company, creators of pure organic cruelty-free soap, available in supermarkets from Waitrose to Tesco. Hers is a remarkable story from kitchen table to national supermarkets, with a product range that we love here at Mantra. I began by finding out more about how Emma got started. In 2008 Emma left both the city and her high-flying media career behind to start a new life in the Cotswold countryside, which she’d made her home but seldom been there to enjoy. 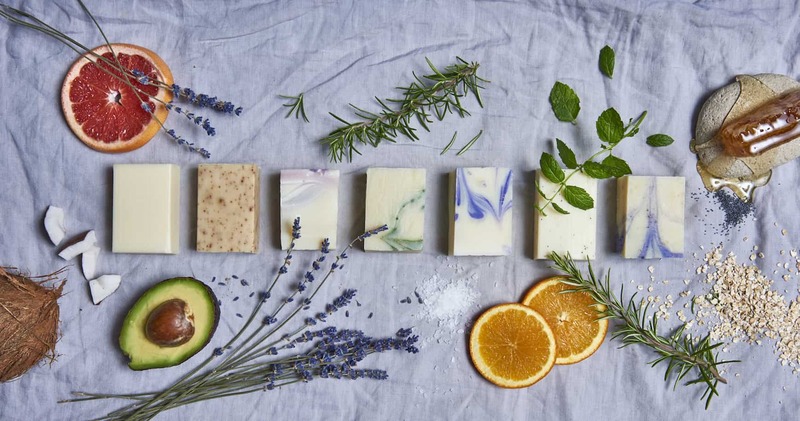 Little did she know that a chance encounter a few weeks later at a village fete would be the catalyst which led to her founding the multi award-winning and eco-savvy Little Soap Company. Emma is a fireball of energy. A mix of high heels, eco-warrior and wellies interlaced with running and yoga to keep her sane. The Little Soap Company’s rollercoaster journey includes accolades of being the first company to be taken on by Waitrose within its first year, to being the first organic bar soap to line every supermarket shelf, up-scaling from making 350 handmade bars of soap a day, to producing over 40,000! Now stocked in all the leading supermarkets and chemists… and currently the first organic soap to roll out in niche hotels too. So – we were very keen to find out from Emma what her mantra for life is; and what motivates her. Do you have a mantra you live your life by? “Yes, I can” and “Sometimes things must change so you can change”. What do you think gave you the drive and determination to succeed? How important have role models been to you? Positive (and negative) role models are intrinsic… to learn how to (and more over, how not to) act and be. A dear friend of mine died far too young of hereditary bowel cancer and I am the person I am today from all I learnt through him. I loved how he lived, how he laughed from the bottom of his boots, his love of the countryside, converted barns, sunsets, dog walks, lazy Sunday lunches, the arts. He was one of the world’s nicest gentlemen. If ever there was a positive and perhaps most unsuspecting role model, then John was and is mine. When you were young, who were your role models or people you truly admired? I always loved strong people… actresses, politicians, writers. People who are prepared to stand up, speak out of turn and say what they believe in, people who aren’t afraid to stand up and make a difference. And as your entrepreneurial career has progressed - who inspires you now? Having your own business is a rollercoaster. With the huge ups come the downs, and I am so inspired by others who have had challenges, and learning from them about how they got back on their feet and regained the fire back in their belly again. We have picked the Phoenix as the Mantra necklace that best represents what inspires and motivates Emma. A positive and uplifting message of hope and overcoming life’s challenges, the Phoenix rises from the ashes to be reborn again and again. Take a look at our other inspirational Mantra necklaces here and find the one that inspires you the most. Many of our pieces can also be engraved with your own personal mantra or message on the back of the pendant, making a wonderful, meaningful gift for a friend - or a gift to yourself! What is 11 - 1?